US-based artificial intelligence startup Anki has created a palm-sized smart robot called ‘Cozmo,’ that recognizes and remembers people’s faces. Cozmo bats his eyes, two pixelated blobs on the surface of LED screen, no bigger than a watch face, as he awakens in his charging station. He lets out a yawn that sounds like it came from an auto-tuned WALL-E, and rolls away to explore the world around him. 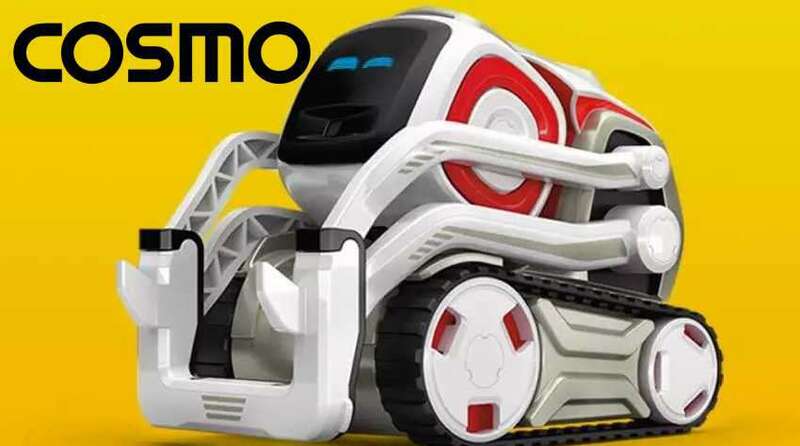 Cozmo is a new consumer-grade robot. Cozmo remembers who his playdates are and can call them by name in a room full of people. He’s aware of his surroundings so that he won’t fall off a table. He picks himself up when he falls, and returns to his charging station when he’s tired. It’s like having a puppy, with less maintenance. “For the robot to feel like a character, at the base level, he needs to understand exactly what’s happening around him,” Tappeiner says. When Cozmo wakes up, a camera looks around to find objects that the toy’s internal artificial intelligence classifies as landmarks. The system computes Cozmo’s position about those landmarks, which can be anything from the edge of a desk to a human face. He’s then free to navigate his environment. Though that information is stored in the robot’s hardware (Cozmo’s brain), most of the processing happens inside the user’s phone, which connects to Cozmo via Bluetooth. The robot’s battery lasts for 90 minutes of playtime and charges in six to eight minutes. Anki claims that Cozmo can process more data per second than all the NASA Mars Rovers combined. It nudges users if they haven’t played with it in a while, and its battery lasts up to two hours in a single charge. Amazon Makes It Easier To Flip Pages And Find Charts.